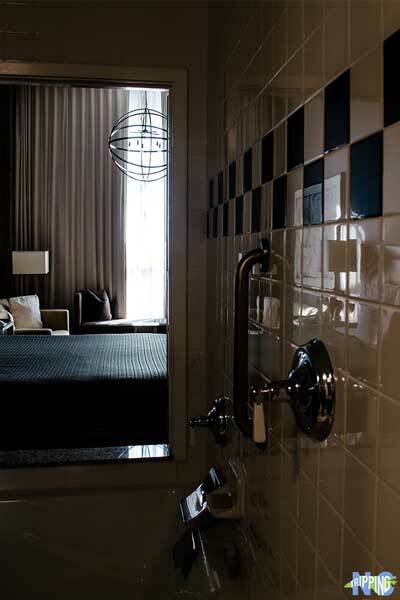 I want to stop thinking about Proximity Hotel in Greensboro, but I just can’t. Normally, We’ll stay at a hotel and use it as the base for exploring whatever place we’re visiting, and then move on. But Proximity has been on my mind ever since checking out and I’ve been trying to pin down why. 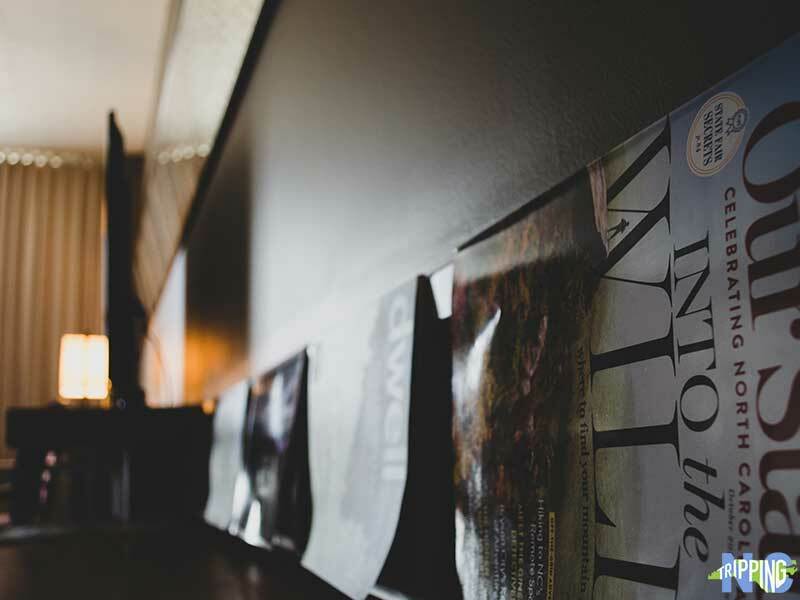 Between the focus on sustainability, homey rooms, and amazing creations coming out of Print Works Bistro, I can’t put my finger on it. So until I get this awesome place out of my head, you should know about why we’ll be staying there again. Learn more about Proximity if you’re already convinced. We recommend you book directly through their site, but you can compare prices among booking websites here. Personally, I wanted to know about Proximity’s Employee Stock Ownership Plan (ESOP) from the get-go. Owners Dennis Quaintance and Nancy King Quaintance remain the faces of the hotel, but in 2017, they transferred ownership to employees via an ESOP Trust. It gave employees a piece of the company and more incentive to keep up Proximity’s high standards. Even if you don’t know about this, I guarantee you’ll come away impressed with the level of service offered by each of this hotel’s employees. I know I did. You could spend a long time wrapping your head around Proximity Hotel’s sustainable practices, so I’ll stick to my own experiences. Seeing solar panels on the roof as I approached the hotel for the first time gave me a good feeling to start. We learned during a building tour that Proximity was built with reinforced steel (90 percent post-consumer recycled). 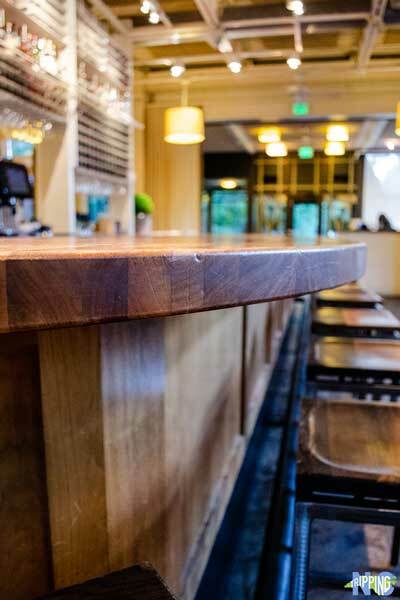 They build the Print Works Bistro bar out of salvaged walnut trees. 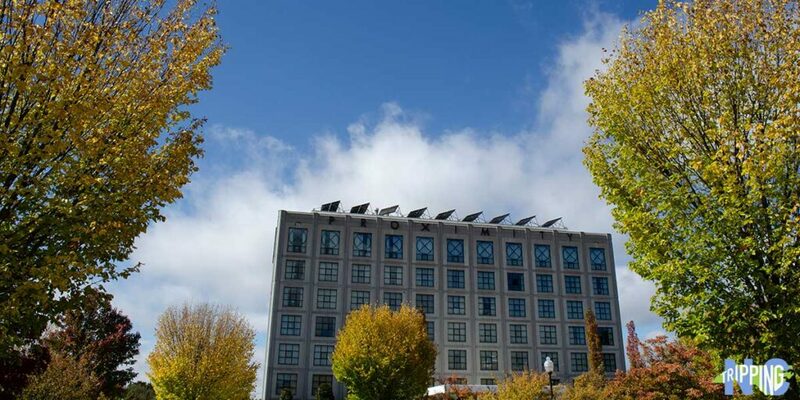 There’s also an emphasis on natural lighting and water conservation throughout the hotel, thanks to energy-efficient windows and plumbing fixtures. And I’m not just saying that Proximity Hotel loves the earth. 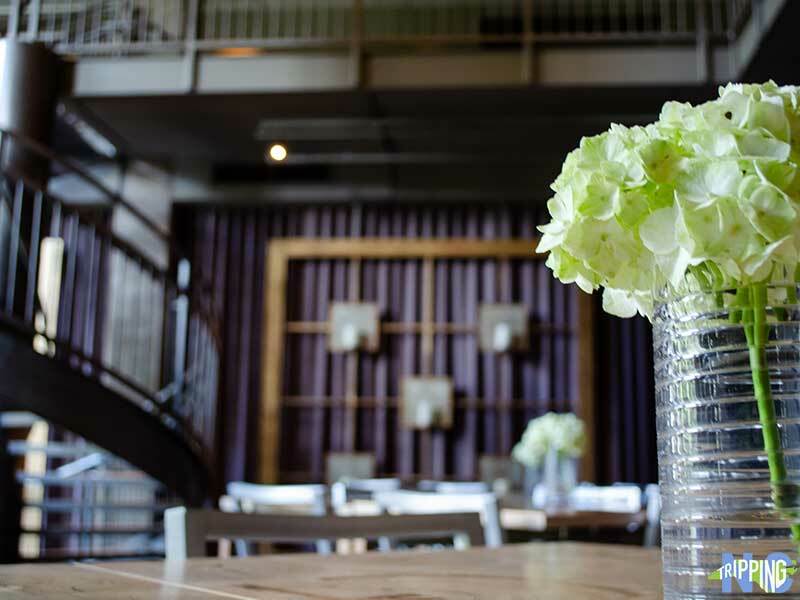 Because of these innovations, Proximity and Print Works Bistro were the first restaurant and hotel in the US to receive the Green Building Council Leadership in Energy and Environmental Design (LEED) Platinum Certification. 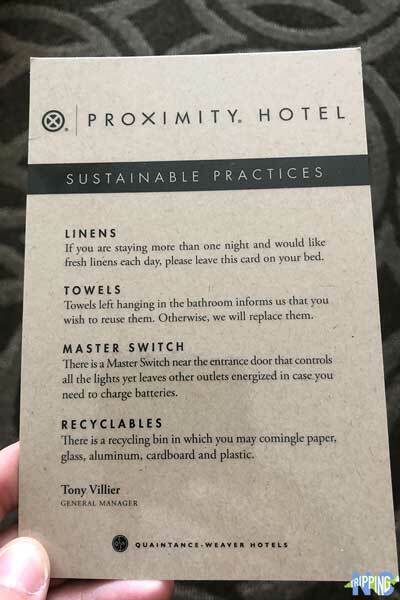 Honestly, these are just a few of the things Proximity Hotel are doing for the environment. You can learn more via their Sustainable Practices page. At Proximity, there’s this sense that permeates throughout the building that you’re more than a guest. And that’s not just the triple-filtered air that we’ll get to when discussing your soon-to-be room. Maybe it was the Neighborhood Letter from the Proximity team that welcomes each guest. 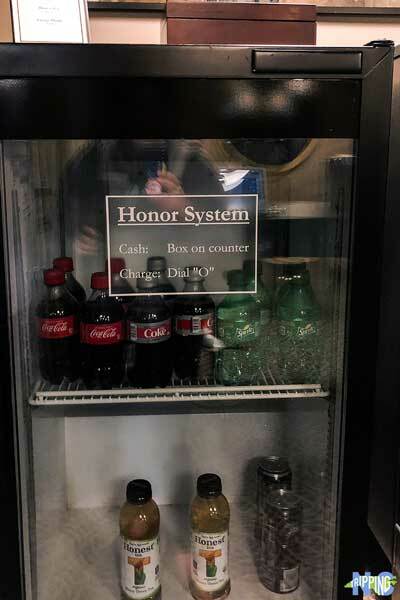 Or what about the Honest Drinking Bar in our floor’s Living Room (found on floors three to eight)? That’s where you could leave what you wanted in exchange for a Coke. Honestly, I don’t know. But those are two strong candidates for that “home away from home” feeling I got while staying at Proximity Hotel. The Loft King Spa Room. Frankly, though, it came down to the room (Loft King) that we called home for the weekend. Triple-filtered outside air and walls decorated by Proximity’s artisan in residence greeted us as we unpacked our things. My relaxation spiked after getting situated, thanks to some time laying down on the sofa that sat next to our room’s floor-to-ceiling windows. We’d wake up in the morning, feeling refreshed from sleeping on our comfy Magi Bed. Then, we’d open the curtains and enjoy some early morning sun with our in-room coffee. Speaking of the weekend, here’s what we think you should do during yours in Greensboro. Some might not be surprised available amenities at Proximity Hotel, but they added touches of home in places travelers don’t always think about. There’s the coffee maker, microwave, and mini-fridge combo that we all expect. However, I can’t think of too many places that offer a seat in the bathroom for touching up. Nor can I remember seeing the selection of local magazines that scream North Carolina (Our State, etc.) as I found in our room. Another bonus for me was the abundance of USB charging and plugs next to our bed. It’s like they get that we need constant juice flowing into our devices! 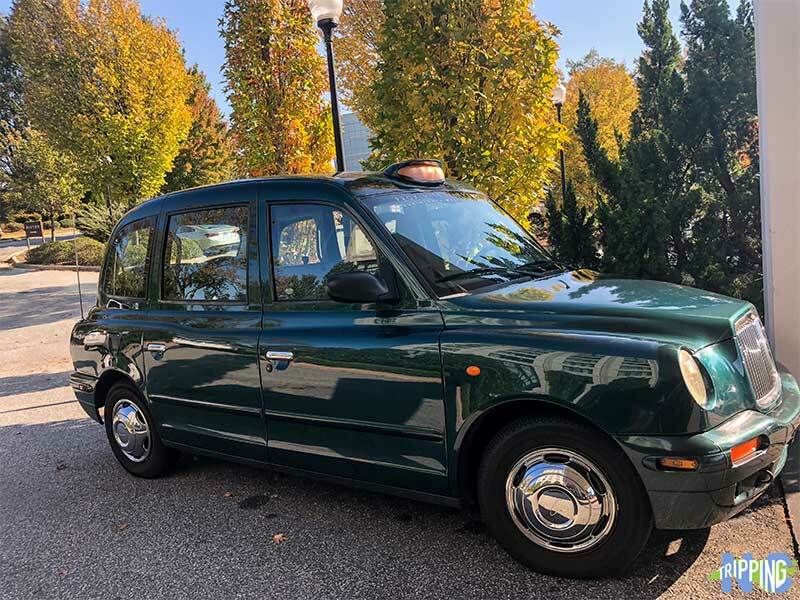 More fun Proximity amenities include a seasonal saltwater pool, bicycle rentals for guests, and transportation to and from PTI Airport (FREE) and into Greensboro (fee). 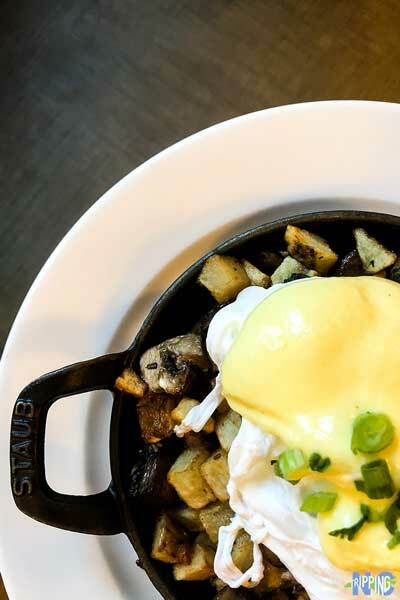 Seriously, get the Duck Confit Hash served during Brunch. With all this livability, there’s one last thing that’s always on our minds—food. And that’s where Print Works Bistro came in, with local ingredient-crafted deliciousness arriving at our table. Hopefully, you’ll stay at Proximity on the weekend so you can enjoy Duck Confit Hash and Shrimp and Grits during brunch (You’re welcome!). However, they have breakfast, lunch, dinner, and late-night menus to serve you at nearly every hour. Just don’t overlook the drink menu. No, you don’t want to miss out on any one of the hundreds of wine bottles they offer. 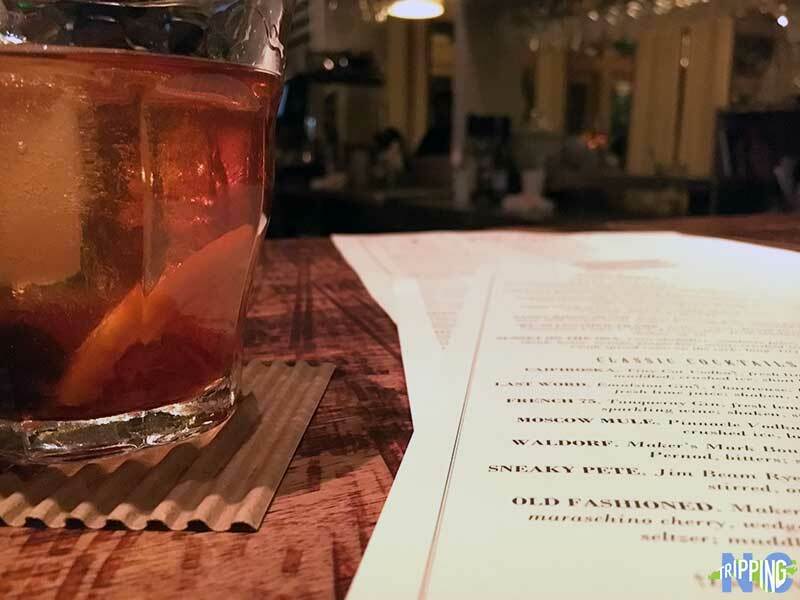 Delicious, handcrafted drinks like the Old Fashioned that I enjoyed one night also deserve your attention. And it’s not like the story ends here. I can’t forget the mornings I spent relaxing in the Social Lobby near Print Works and the Bluebell Garden outside. These two friendly spaces are just another reason why I can’t stop thinking about Proximity Hotel. If they’re anything like this wonderful place to stay, I want to spend time exploring the rest of the Quaintance Weaver family, including the nearby O.Henry Hotel and Green Valley Grill Restaurant, as well as Lucky 32 Southern Kitchen‘s two locations in Greensboro and Cary. And that’s my story. 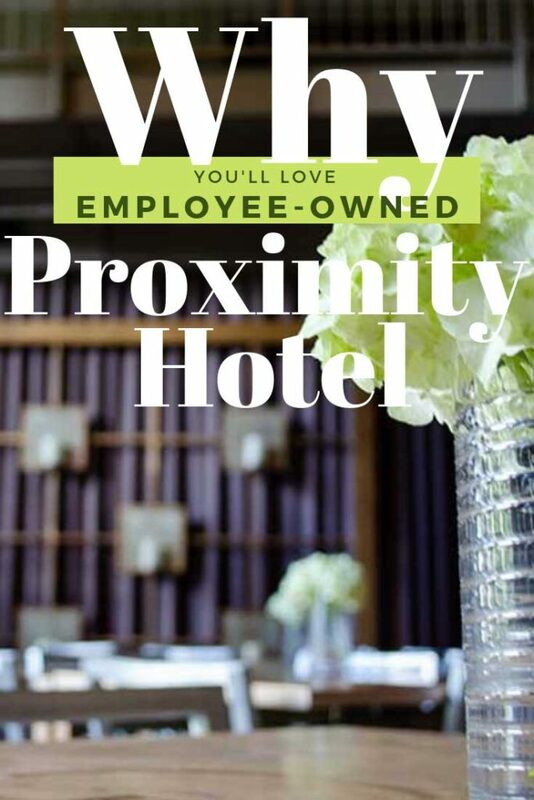 We’d love to know about your thoughts on the awesome Proximity Hotel in Greensboro. Ever stayed there? If you haven’t been, what do you think is the best part of this place? Share your thoughts in the comments and keep this conversation going! This guide is part of our series on North Carolina Hotels and Greensboro Travel. It was originally created on November 16, 2018. It has been maintained and updated (as of December 31, 2018) to reflect current viewpoints and travel trends. Special thanks to the Greensboro Area Convention & Visitors Bureau for providing us with complimentary accommodations at Proximity Hotel. All opinions within this article are our own. This entry was posted in Travel and tagged Greensboro, Guilford County, Hotels, The Piedmont, The Piedmont Triad.